One of the most common problems faced by modern families is having too much stuff and not enough space to store it. Sure, sometimes you can throw things out or store them remotely, but those options aren’t always suitable for everyone. Luckily, people today are inventive – with a little bit of creativity and clever thinking, you can find new and interesting ways to create storage space where you wouldn’t expect it. Below are five ideas for doing just this, though you could also check out some other ideas online (e.g. on Pinterest) or talk to a home design expert at Coral Homes. If you have free wall space in your bathroom or laundry but never enough room in your cupboards for towels, this is a brilliant way to save space and put these items in a convenient place. Get a couple of baskets and anchor them horizontally to the wall to become shelves. If done right, it can look awesome as well as being practical. 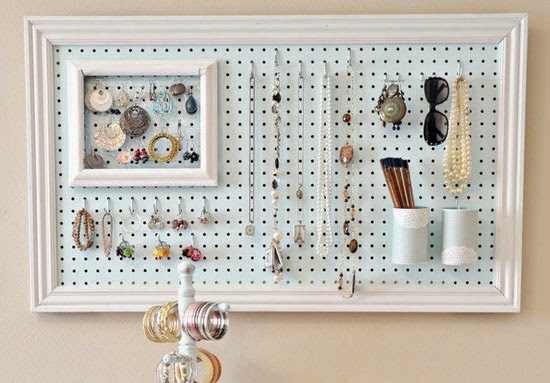 If your dresser is being swarmed by jewellery or your closet is overwhelmed by scarves, belts, and other items, a DIY pegboard or two in the bathroom or bedroom could be just what you need. Essentially, you glue some pegs to a board, then stick it to the wall. If you’re a cook who uses a variety of spices, thing in the kitchen can get quite messy (and that’s before the cooking starts!) 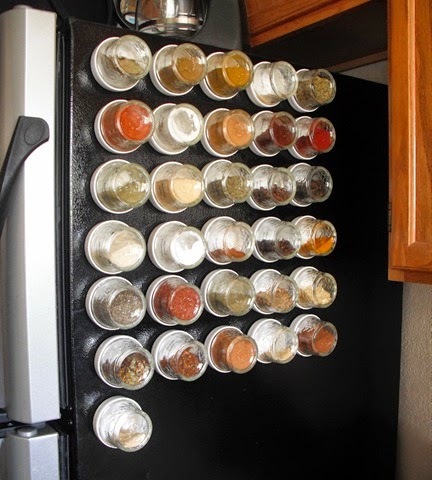 Storing all your spices can cause clutter and be unsightly as well, which is why storing them in magnetic containers on the fridge is a brilliant solution. When lying useless in the garage or around the house, a ladder takes up an irritating amount of space. But when used to your advantage, these tools can become surprisingly useful for storing things in both a practical and stylish way. The methods of using a ladder as a piece of furniture are seemingly endless, ranging from creating a rustic looking set of shelfs to hanging from the ceiling as a creative overhead storage space. Whatever way you use your ladder, if you put your mind and creativity to the test, you may find your home’s storage capacity climbing to new heights. Who knew that a place for the kids to do their homework could transform into a space-saving chalkboard on the wall? With this creative approach to both storage and functionality, you can create a desk with storage space that doubles as a platform on which your little ones can practice their drawing! It turns out people today are pretty clever and resourceful. If you struggle with what seems like an endlessly expanding collection of things, rejoice in the fact that there are many inventive ways of creating storage space in your house.